If your like me there are always those photos that come out with some sort of flaw to it, but it's a picture you really want. Such as this one of our whole family in front of the tree of life. Of course it was raining that day and so water spots got on the lens. I was able to photoshop some of them but not all. So I thought I'd do something to the photo to take the focus off of it. I cut the photo up into strips and put it on a black matte. 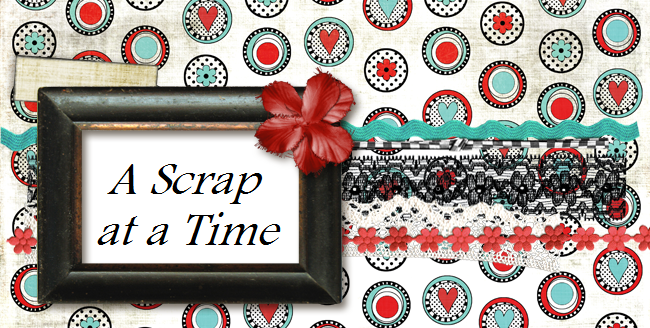 I used a great sketch from creative scrappers.